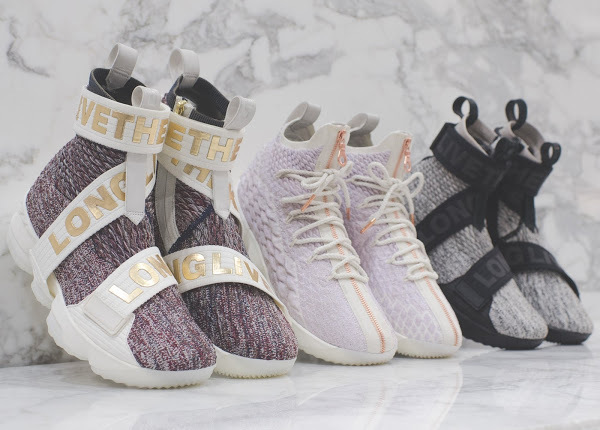 This Friday, on February 16th, Kith will officially open doors to its first Los Angeles flagship space. 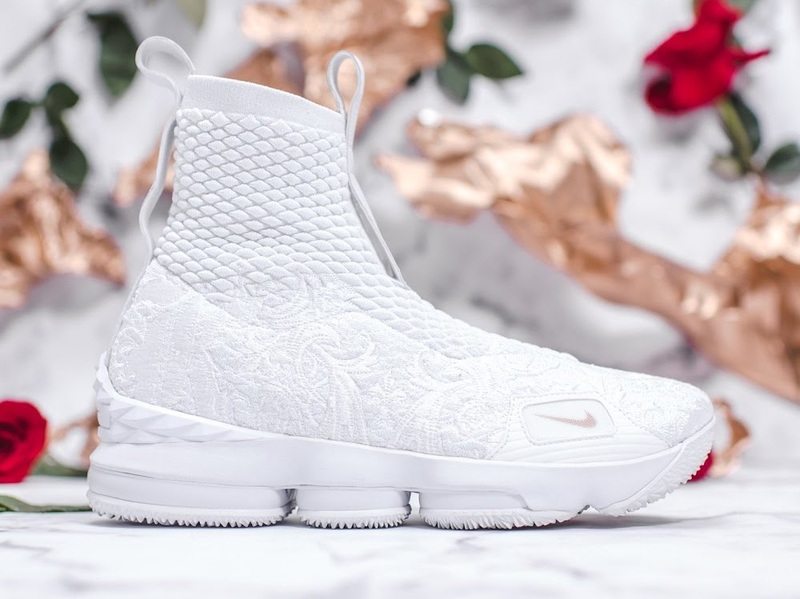 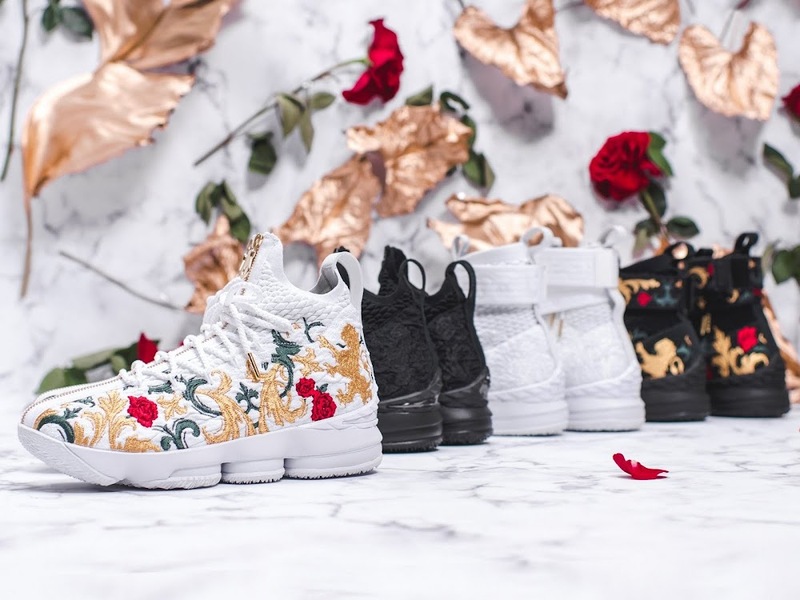 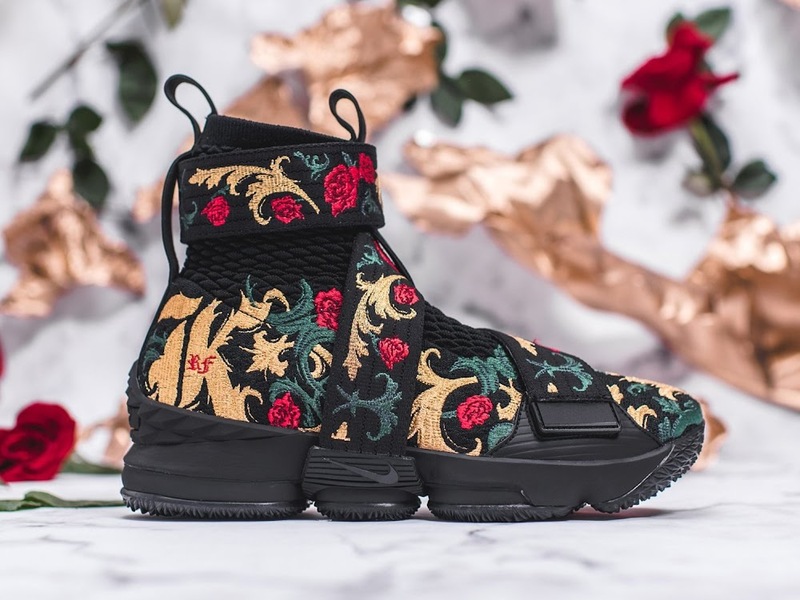 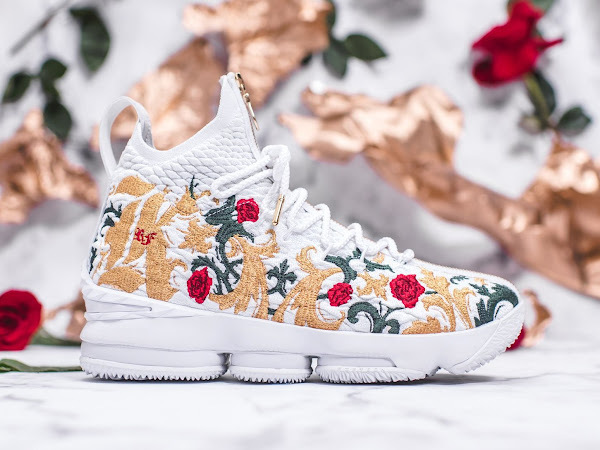 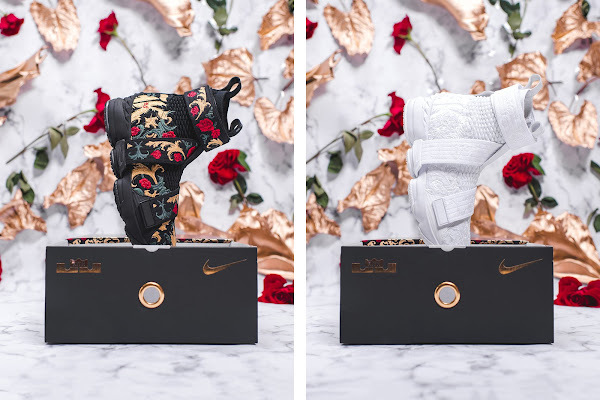 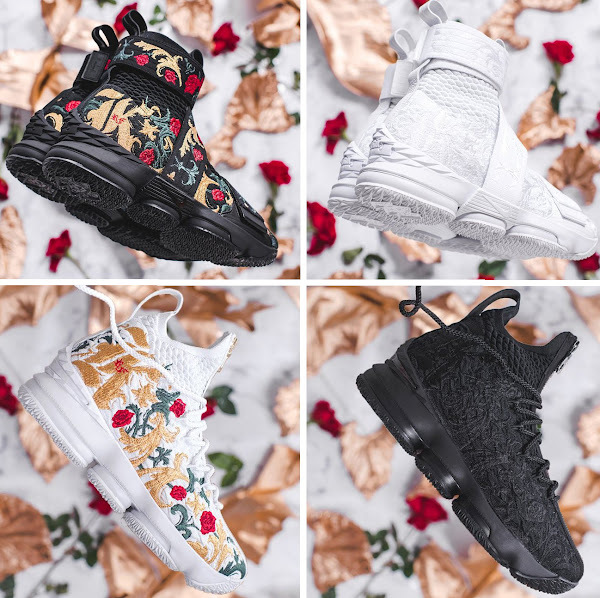 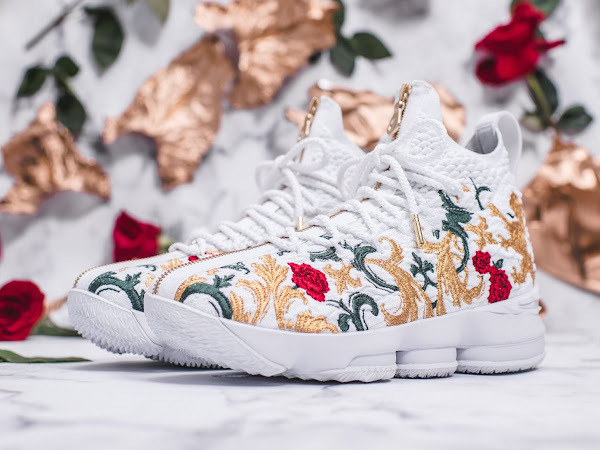 Coinciding with this momentous occasion, Kith has partnered with Nike to release Chapter 2 of their collaborative Long Live the King program with LeBron James during All Star Weekend. 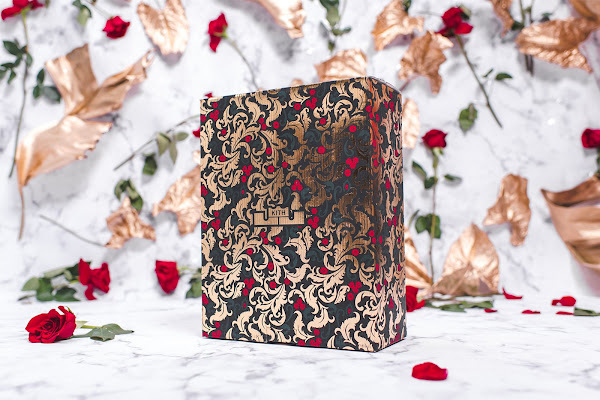 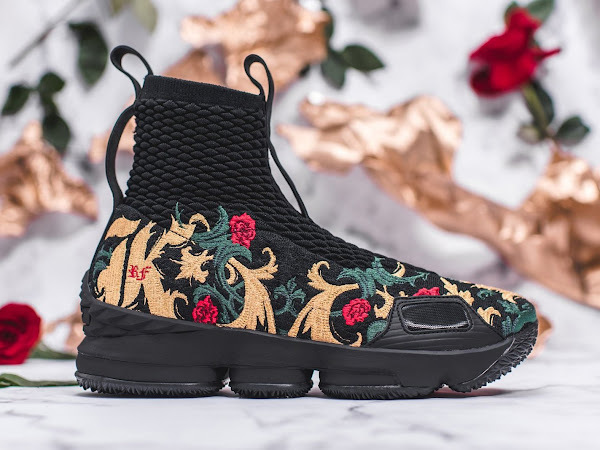 Chapter 2 features a royal theme throughout, as a pattern inspired by kings’ cloaks is embroidered across the product range. 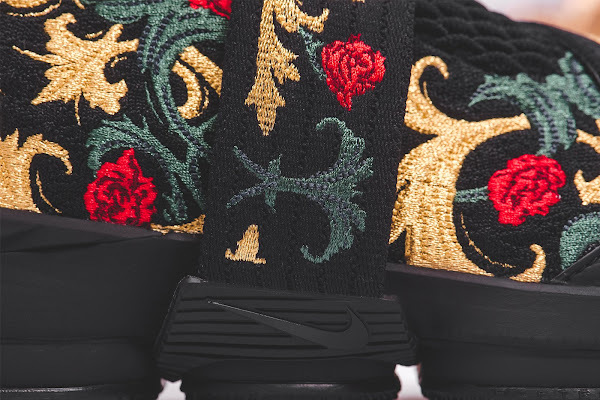 Applying the embroidery is an intricate process that requires hand-stitching each pair individually. 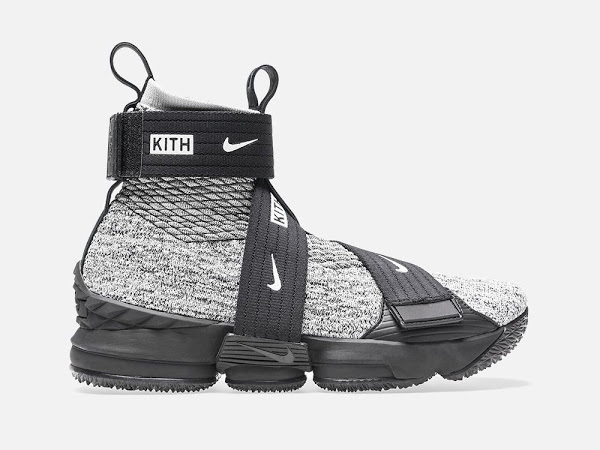 The quantities for this release will be very limited and only available at Kith. 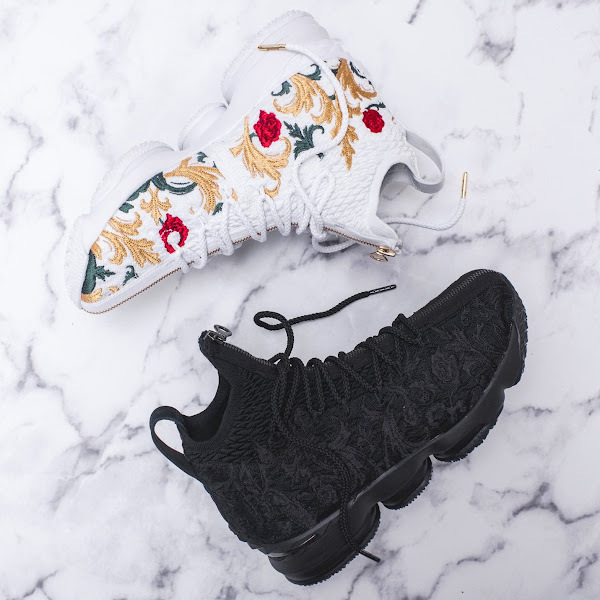 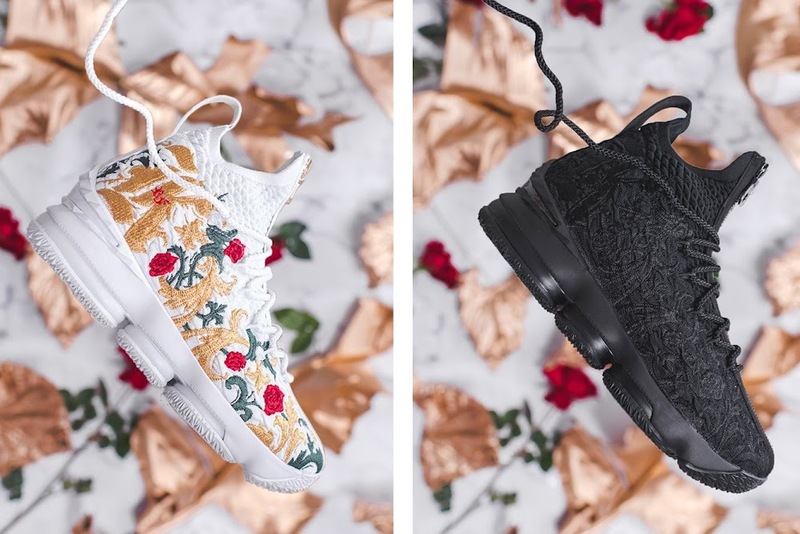 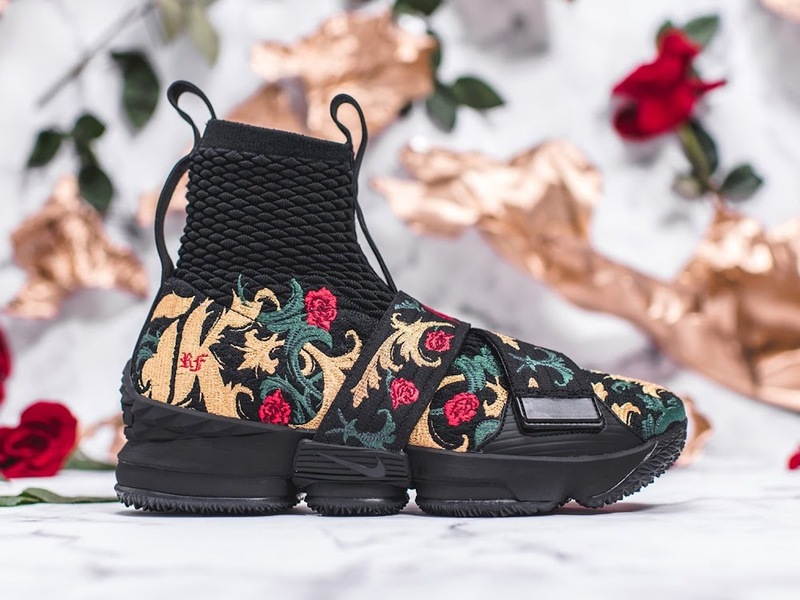 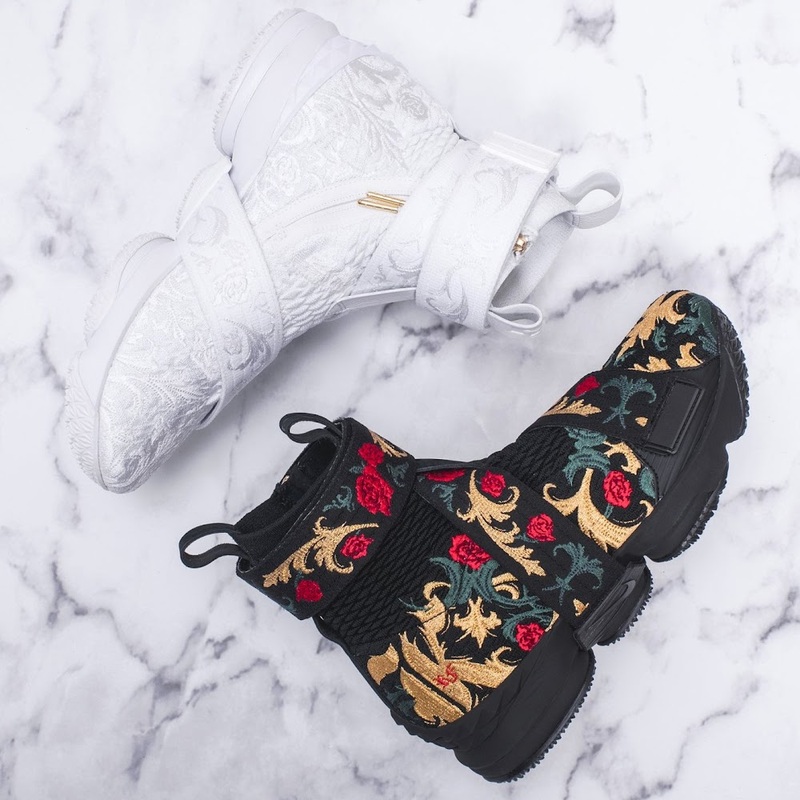 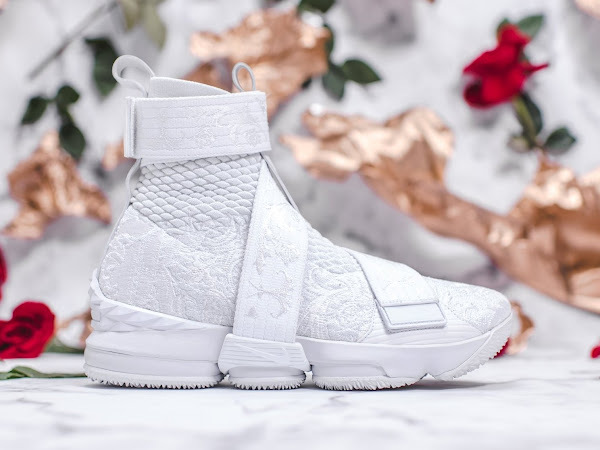 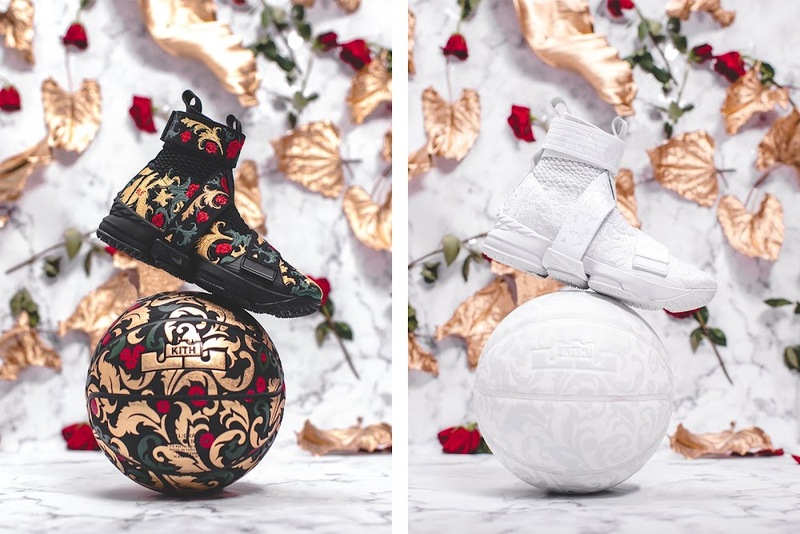 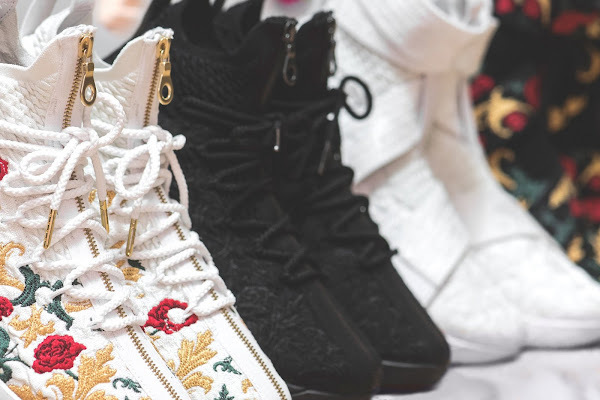 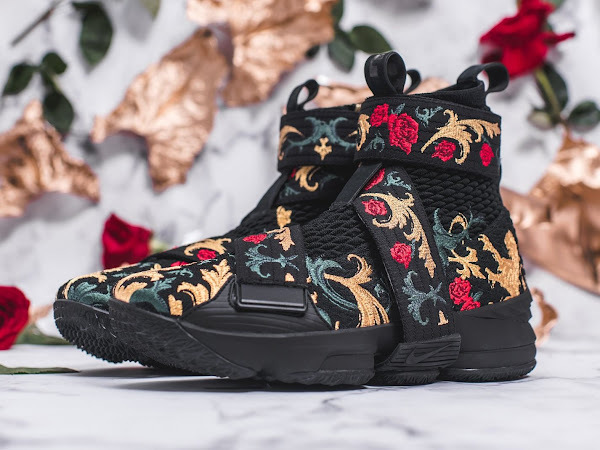 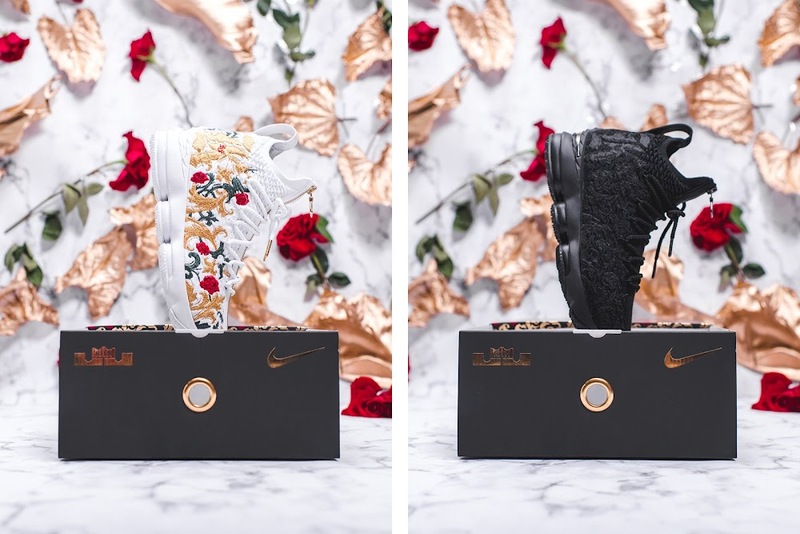 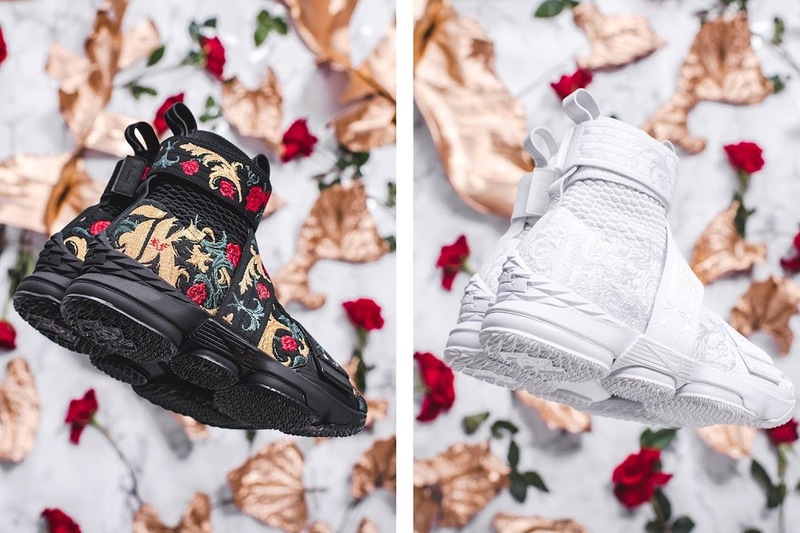 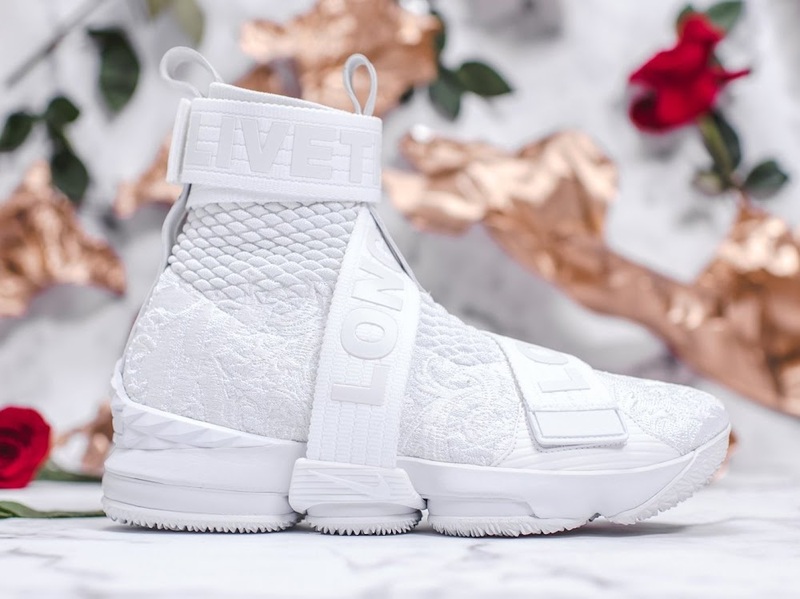 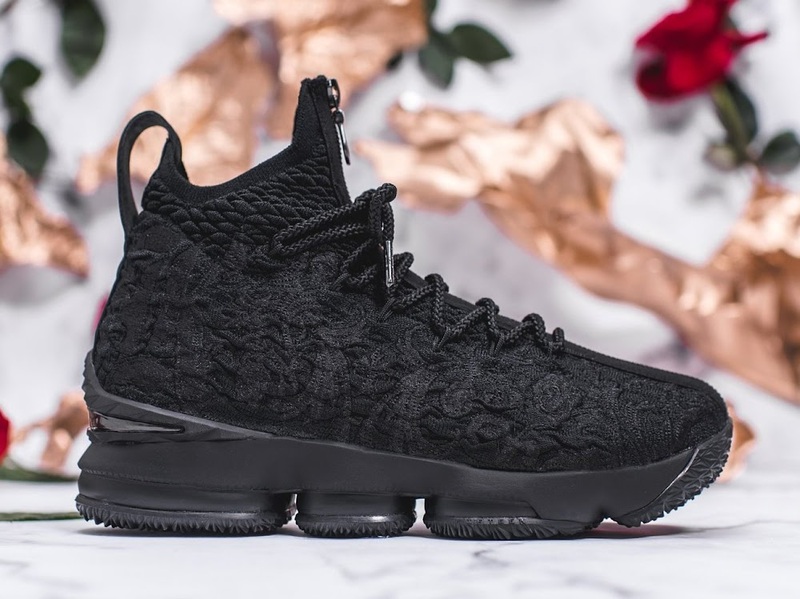 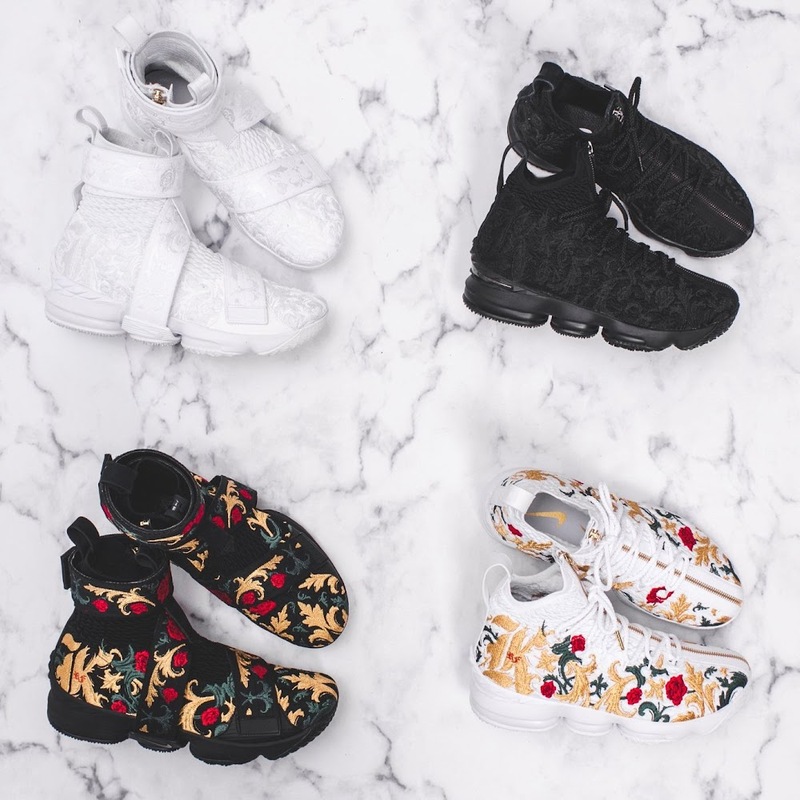 This round expands on the duo’s first release by utilizing Ronnie Fieg’s Performance and Lifestyle twists on the Jason Petrie-designed LeBron XV silhouette and offering four total models. 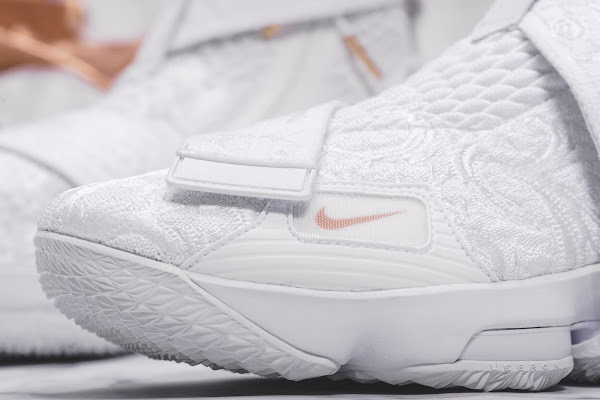 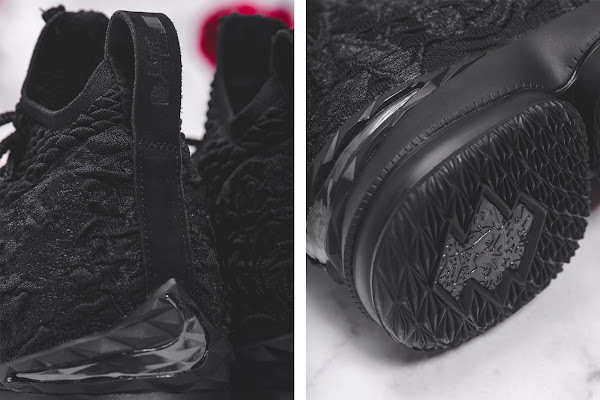 The Performance XV is presented in two colorways – King’s Cloak and Suit of Armor. 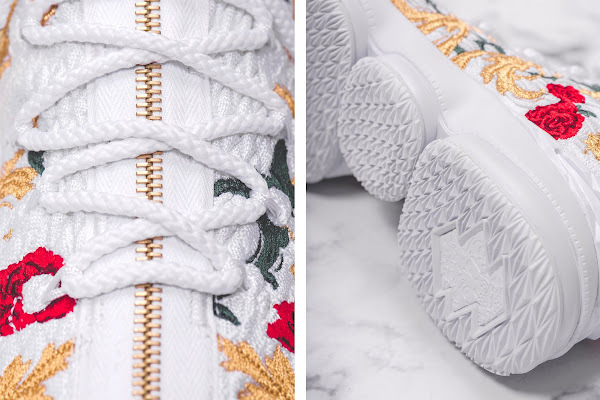 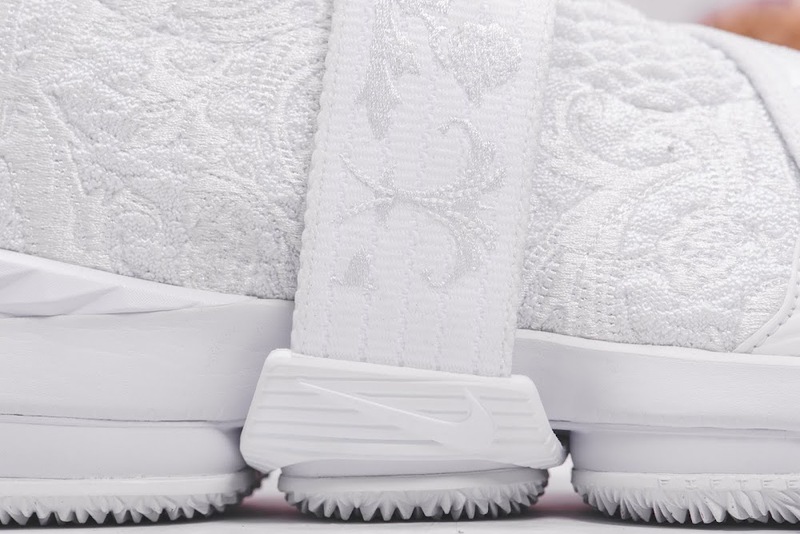 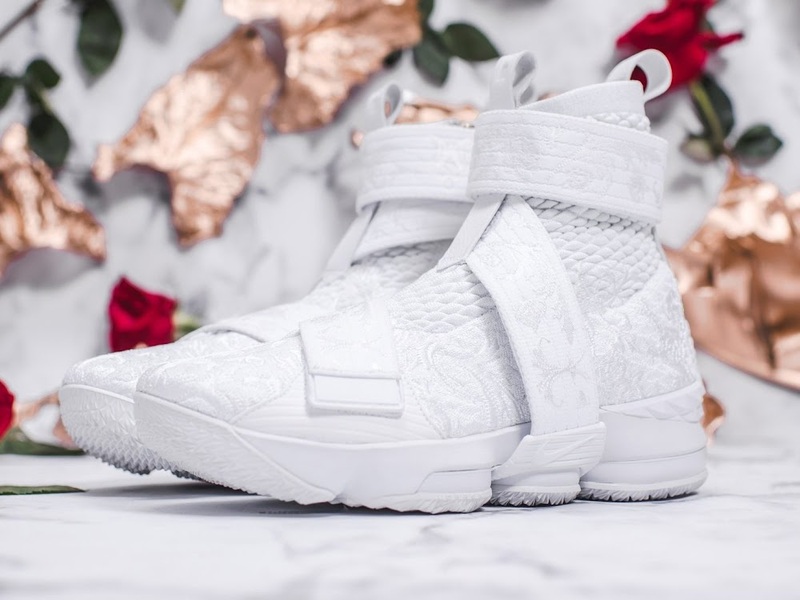 The King’s Cloak model features a white Battleknit upper with multi-colored embroidery and a gold Riri zipper. 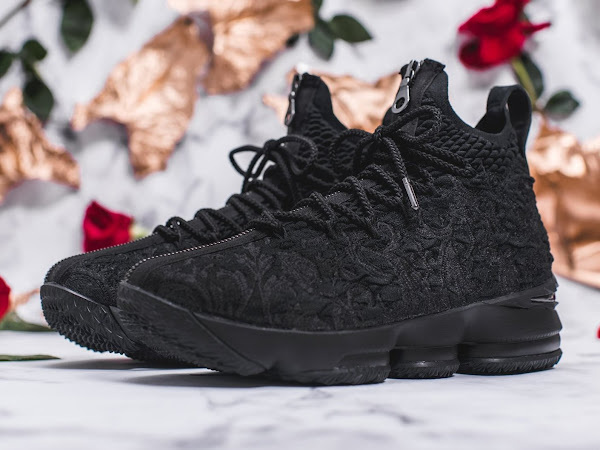 The Suit of Armor model opts for a triple black palette as the embroidery goes tonal and is accented with a gunmetal Riri zipper. 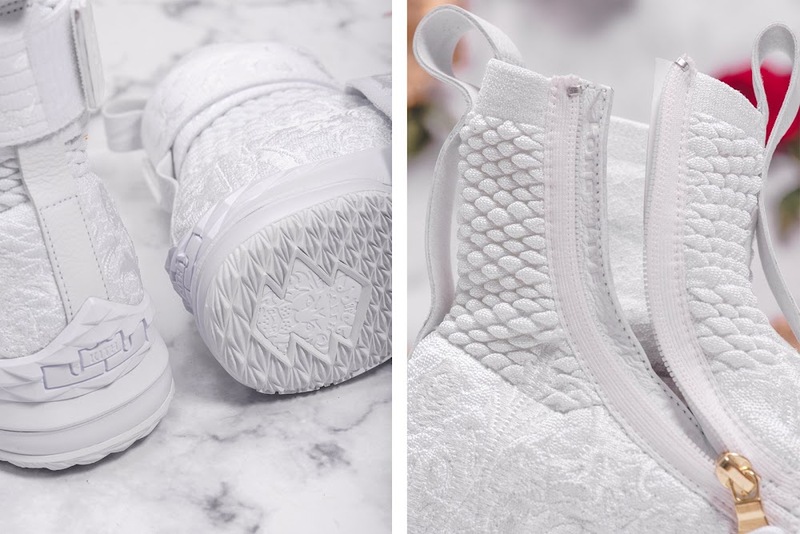 The Lifestyle XV is also presented in two colorways – King’s Crown and City of Angels. 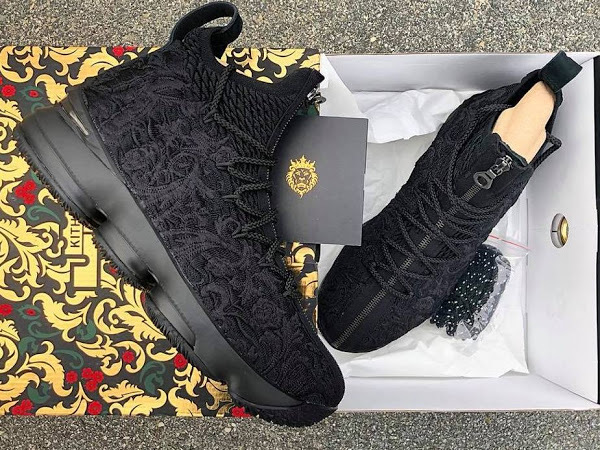 The King’s Crown features a black Flyknit upper with multi-colored embroidery and a gold medial side zipper closure. 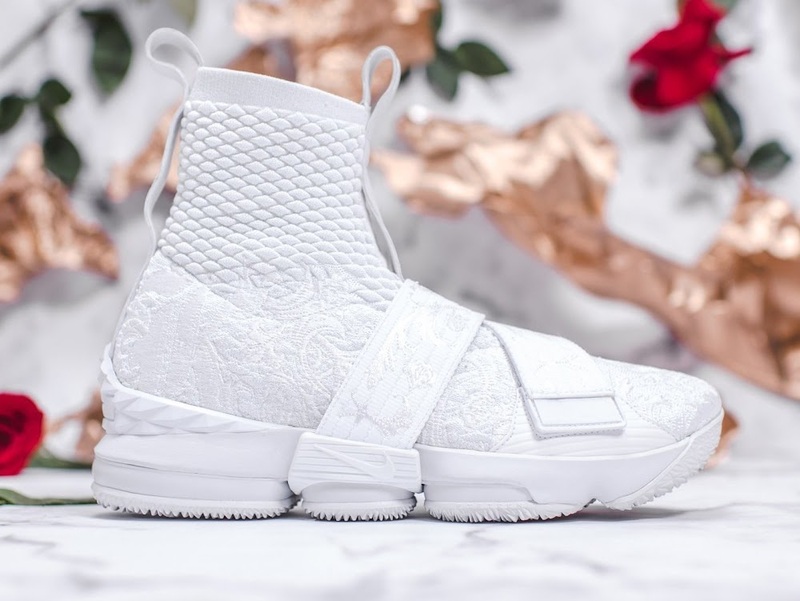 While the City of Angels nods to Kith’s arrival in Los Angeles by applying a triple white colorway with tonal embroidery and silver medial zipper. 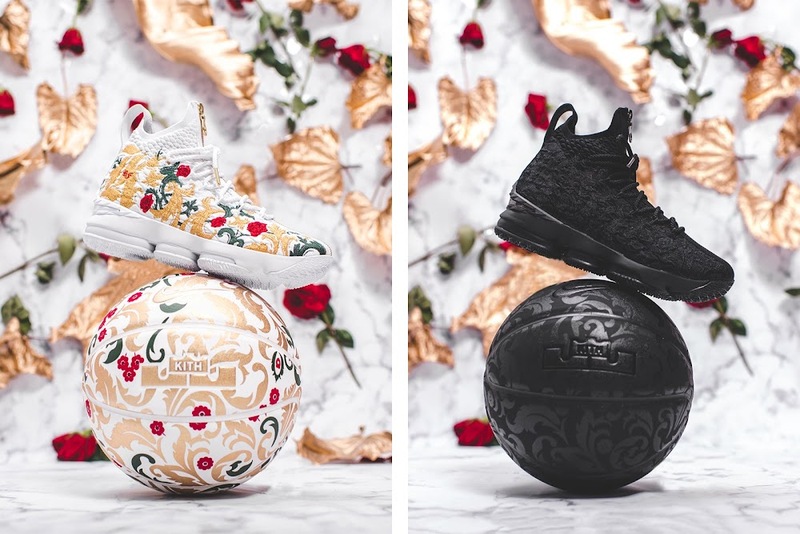 The City of Angels model will be a Kith.com exclusive. 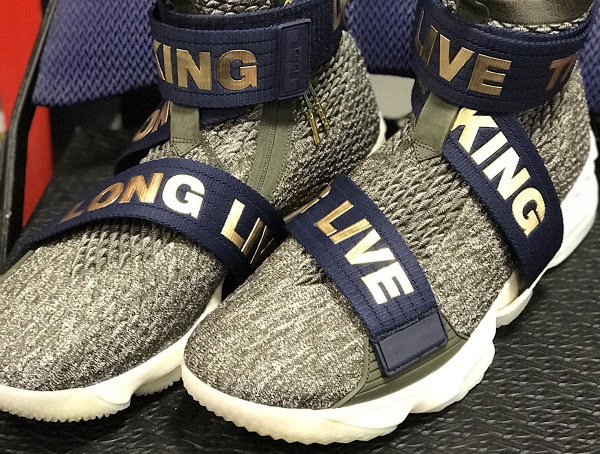 Each Lifestyle XV is accompanied by two full-length straps and one half-length strap for customization. Kith x Nike Long Live the King, Chapter 2 releases first on Friday, February 16, exclusively in-store at the Kith Los Angeles flagship. 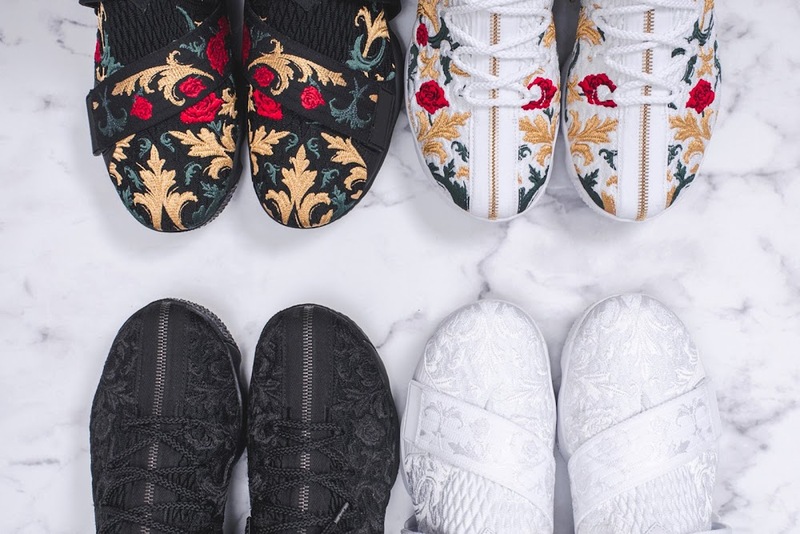 Address to be announced. A web release will follow that night at midnight 12AM EST on Kith.com. All triple white City of Angels product will be a Kith.com exclusive. 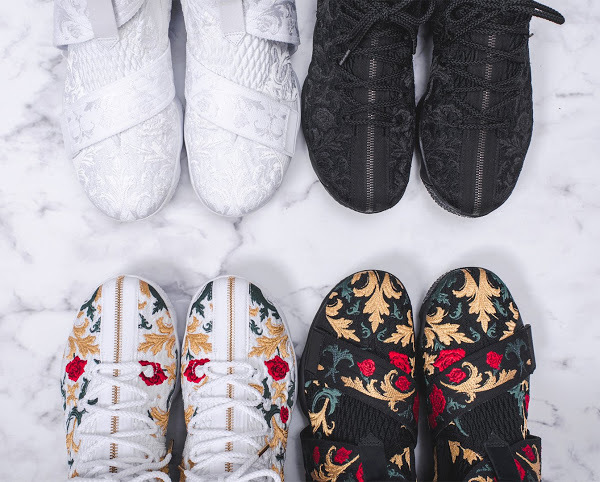 All other Kith shops will release the following day on Saturday, February 17.